BEAUTY BOX: Ipsy GlamBag– I think almost everyone who follows me and reads my blog posts know that Ipsy was my first real subscription box service.. and I’ve stayed with it for a reason. 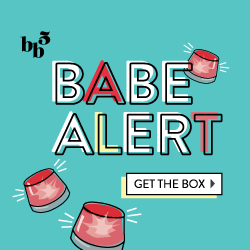 This is a beauty subscription, meaning it’s filled with a variety of skin care, hair care and makeup products from mostly well-known brands, and a few new ones too. You fill out a beauty profile online, and the curators pick out items they think are best suited for you. So why choose this over other beauty boxes? First off, it’s $10 freakin’ dollars per month… $10! You’re almost guaranteed that 1-2 products you receive out of the 5 products will cover the cost of the monthly subscription. Second, they combine high-end, well known products and brands with new or up-and-coming ones. For example, I received this bag containing a Buxom Lip Gloss and Zoya Nail Polish (high-end brands I adored) along with some brands that I either hadn’t heard of before or rarely used like be Delectable Hand Cream and H20 Moisturizer. I mean, sometimes it’s hit or miss and you get a product like tan lipstick, which you have no idea what to do with, but the rest of the products usually make up for it. Ipsy also has pretty good customer service.. I’ve had a few ‘exploding’ products during transit, and they will replace that ruined item if you send them an e-mail with a picture. NEW: you now can earn points for every review you do on the products you receive, which can be used to redeem full-size beauty products! See an example of a past box here! SNACK/FOOD BOX: Graze– This is such a simple, easy, grab-and-go concept, and many often don’t list it as highly in their subscription box ranking as I believe it deserves to be. Graze is a snack box, filled with 4 little snack options, each the ‘perfect’ size and often low in calories for the mere price of $5 per month (may have just increased to $6) and you get your 1st and 5th box for… wait for it, FREE! Use this link/code to skip the line and get your first box free. You get to log into your account online and rate the snack mixes based on your preferences, so if you absolutely hate pumpkin seeds, you can nix all of the mixes with them. Also, if you adore chocolate and dried fruit, you can “Love” those items and you’ll most likely get 1 or 2 of your ‘Loved’ items. Best of all, you get to choose how often you want a box: it can be every week, every month, or you can mix it up based on how your budget is looking. See an example of a past box here! TIME OF THE MONTH BOX: Juniper is a combination box in my opinion.. it’s categorized as a “Time of the Month” box, yet it is also an epic snack and tea box too! I think that’s one of the things that ranks it highly in my list of favorite boxes. Juniper runs at $28 per month, and is a customizable box, meaning you get options as to the brands included for tampons and pads. This is great, because everyone is so varied in what they need and Lynn is more than happy to please everyone. Lynn and I? Yeah, we’re on a first name basis, and we’re basically bff’s who just haven’t met yet, and her customer service is great! If your monthly timing per box delivery is off, you can let her know via e-mail or text. I think the best part of the box is the snacks.. each month has a theme (yay for variety) and lately I’ve been loving the chocolate-dominated ones. Along with a few different snacks like brownies, chocolate bits, toffee bites or cookies, she includes tea bags and honey sticks that correlate with the flavors of the theme. See an example of a past box here! WORKOUT/FITNESS BOX: JackedPack may be getting a run for their money with some of the new fitness boxes emerging, however right now it’s in my favorites list! They have 3 different options based on your needs and your budget, so if you’re interested in a big box of samples and a full-sized product like a protein powder or pre-workout every month, the $50 Heavyweight XXL might be best for you. I first tried out the Heavyweight Box (middle box at $30 p/m) because it included all the regular samples as well as a ‘deluxe’ sample which had about 10 uses, and it was great but a bit out of my price range. And so now, I stick with the $15 per month Lightweight box! I like JackedPack because you are able to test out supplements without having to purchase them first, and it tends to save a lot of money if you end up hating the full-size product. They include some popular, high-end brands, as well as new ones (or ones I’ve never heard of before) and from this, I’ve found products I love and been able to avoid ones I hate. Their customer service is pretty great too.. recently a product was recalled, and I had a few questions, to which I got a swift response back. The only thing I would change, is that I wish each of the 3 options were a little less expensive.. even a $5 reduction per box would encourage me to upgrade. See an example of a past box here! Sparaj: At $40 per box, Sparaj is more expensive than Yuzen, however it includes more ‘exotic’ themed bath and beauty products. The majority of them are from countries in Asia, and are pretty hard to find in any beauty and skincare store back here in the US. Plus, you have the option to sign up for a 1-time, monthly order without worrying about canceling. 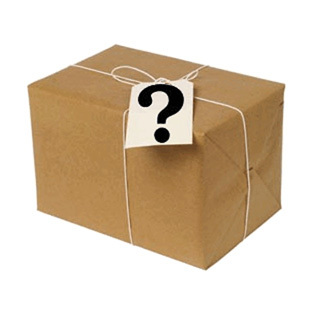 Like other boxes, the more months you sign up for, the less expensive per month it becomes. My favorite part.. the packaging! I’m obsessed with all of it: the wrapping, the tote bag, the individual product packaging. See an example of a past box here! Yuzen runs at $33 per quarter, meaning you only get it 4x per year and I think it’s better that way so you don’t get overloaded with products and that they have more time to select better products. They’re all high-quality brands, and at least half of them are full-size. I’ve gotten amazing moisturizers and blemish serums that I have added to my daily routine, as well as some fun, extra ‘pampering’ items like sweets and treats. See an example of a past box here! To sum it up… I like them equally, but for different reasons, and would recommend either! ADULT BOX: The Fantasy Box is one of my favorite ‘adult-themed’ boxes.. because it really focuses on the relationship. There are three different options: an Essentials Bundle ($34), Classic ($59) or Platinum ($159) based on your budget and what you’re looking for, plus you can opt for a certain theme if you’re trying to fulfill a specific fantasy. Each box comes with cards and instructions for him and for her, and sometimes a ‘survey’ card where you ask each other questions to get to know each other better and unwind. Plus, the toys are super fun, always high quality and all go together within the theme. Regardless your budget, they always provide items you’ll want to use, whether you’re shy or super adventurous. See an example of a past box here! Personally, I find that all of these boxes fit perfectly in my life! While I do enjoy some of my other boxes, sometimes they’re hit or miss, and these seem to be the ones I can always rely on. As you’ve read above, I take a few things into consideration: price, value, customer service, the actual items, etc… and one major factor, as well, is that I tried to base my results on boxes that I have received more than once. I have gotten boxes in the past that perhaps just had a lucky, amazing month filled with great products, and then they fell short the following two months after, or ended up having terrible service. So, what’s your favorite box(es)? I just order the fanasty box and i’d love to try the graze box you mentioned but the link sends me tl their page and it ask for an invitatikn code?